Only 4% of registered voters have voted so far. If all of Gretchen’s supporters get out and vote, she will win on May 20th. Call your friends; remind them District 5 is a Special Election that will be decided Tuesday May 20th. Contact Gretchen; she’ll get you a call list or a walklist. Local elections affect you directly: water, sewer, trash, roads, taxes, jobs, and ordinances. It’s time to get people out and vote! 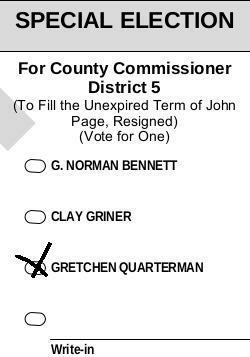 This entry was posted in Opportunity, Stewardship, Transparency and tagged Board of Elections, Candidates, Clyattville, Community, Dasher, Economy, education, Elections, Environment, Georgia, Gretchen Quarterman, Hahira, Lake Park, Law, Lowndes County, Lowndes County Board of Commissioners, Lowndes County Commission, Naylor, Remerton, Solid Waste, taxes, Trash, Turnout, Valdosta, Water on May 15, 2014 by John S. Quarterman. 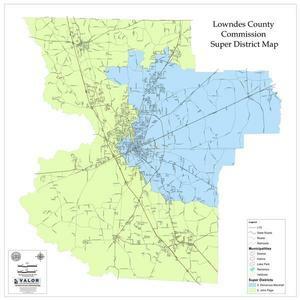 “Stop wasting taxpayer money” said Gretchen Quarterman in the May 28th 2013 Regular Session of the Lowndes County Commission. 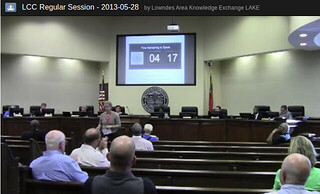 This entry was posted in Stewardship and tagged 28 May 2013, Deep South Sanitation, Economy, Elections, Ethics, Georgia, Government, Gretchen Quarterman, LAKE, Law, LCC, Lowndes Area Knowledge Exchange, Lowndes County, Lowndes County Commission, Regular Session, Solid Waste, transparency, Trash, Valdosta on March 16, 2014 by John S. Quarterman.